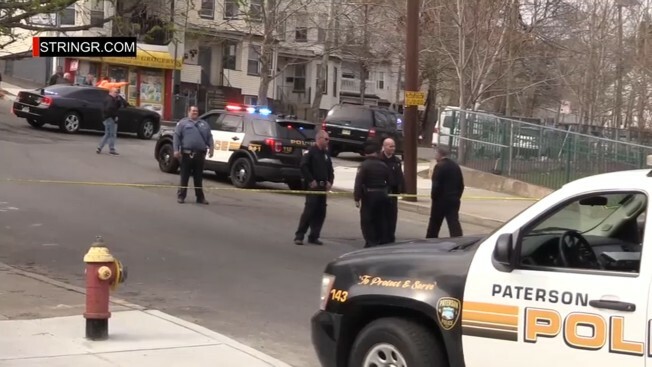 Six people were shot in Paterson, New Jersey over the span of eight hours on Thursday, one of whom died, authorities say. Michael George reports. A spate of street shootings in a northern New Jersey city has left one man dead and five other people wounded. Authorities say it doesn't appear that any of the shootings in Paterson on Thursday were connected. But city officials say they plan to increase police patrols in high-crime areas in response to the gun violence. The four shootings occurred over a seven-hour span. The first occurred around 3:30 p.m., when a 24-year-old man was fatally shot and a 21-year-old man was wounded. Two more men were then wounded in another shooting about an hour later.